The AquaFit underwater treadmill system is designed for the ultimate in hydrotherapy and fitness, boasting a larger exercise chamber for a wider variety of fitness opportunities, especially accommodating for sporting teams, athletes, and bariatric patients. AquaFit offers a private exercise chamber with a larger track and adjustable touch screen for customizable fitness needs. These systems are an exceptional tool that utilizes the benefits of exercising in water offering lower impact with higher outcomes in half the time of land based workouts. The AquaFit is ideal for athletes, sport teams and fitness centers looking to obtain extreme physical fitness quicker, recover faster from injury, and begin training earlier after an injury. 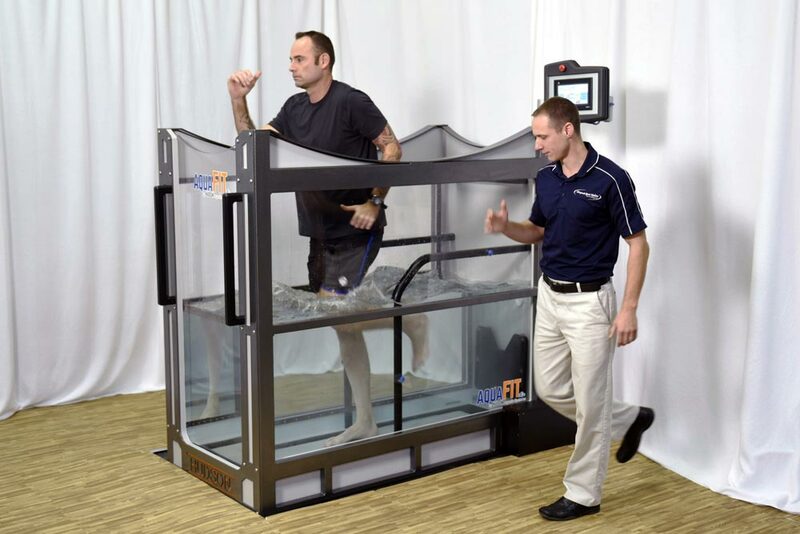 Contact Us to obtain peak conditioning, wellness and rehabilitation with the Hudson Aquatic AquaFit.